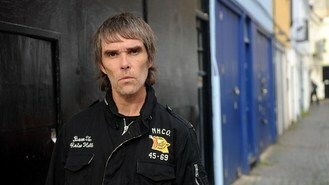 Frontman Ian Brown told the 70,000-strong crowd at Manchester's Heaton Park: "Here we are, here it is, here we go." The band announced last year they were reforming after an acrimonious split 16 years earlier. They took fans back two decades by opening with their traditional gig starter I Wanna Be Adored, one of their best-loved anthems. The quartet, often hailed as the inspiration for a generation of bands, went on to play other favourites such as Mersey Paradise, (Song For My) Sugar Spun Sister and Sally Cinnamon. Brown, known for his self belief, gloated "yeah, as you see we still got it" despite at times struggling to hit the correct notes, a problem he often faced in the band's heyday. The reunion was one which many fans thought would never happen after their bitter fall-out. They had long met rumours of a revival with assurances that the band would not reform. But they eventually buried the hatchet last year, agreeing a series of festival dates and a three-night stint topping the bill at their own mini-festival in Heaton Park. Friday night's show was the band's first large-scale show in the UK since the band fell apart in 1996. Guitarist John Squire walked out in the spring of that year and the band limped on for a further six months but called it a day in the wake of a disastrous performance at Reading Festival. Drummer Alan "Reni" Wren had quit the previous year.